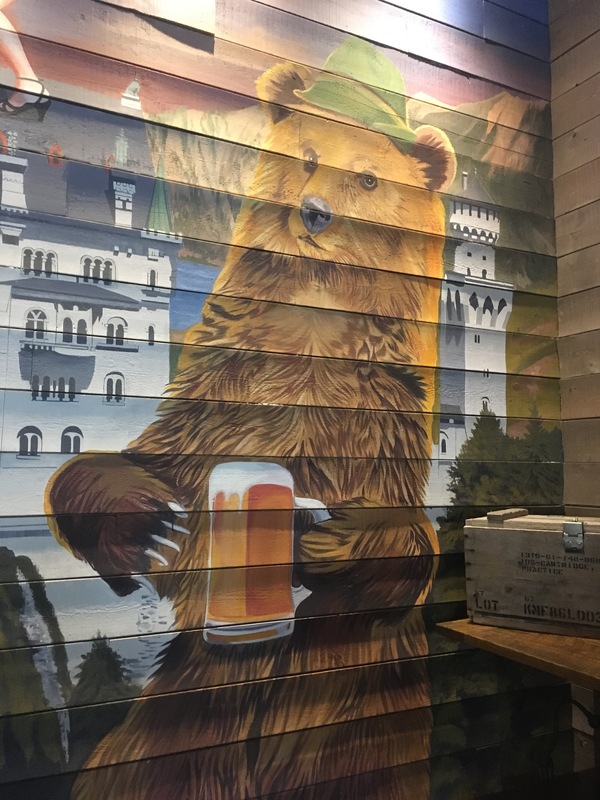 This jolly, stein-tipping bear greets you at Von Elrod’s in Nashville. Heckuva place to hang on a lazy Saturday. After an early career as a journalist that afforded me titillating glimpses of the wilder parts of Sandusky, Ohio (the North Coast!!!) and the Chicago suburbs (Naperville! Downers Grove! Wheaton! Bolingbrook!!!!!!!!!) — I’ve been blessed to upgrade from that scintillating travelogue to the farflung locales the world of advertising has, um, flung me to. OK, there was that one 2004 trip to the Republican National Convention in New York (hey, I drew second) where I waited behind Arnold Schwarzenegger’s kids in the concession line, and tapped out my filings while Michael W. Smith rehearsed obsessively on the floor of Madison Square Garden. But, back to farflung nirvana. As a creative director with Publicis Groupe, I enjoyed visiting clients and colleagues in the major meccas of ‘Merica: New York, Boston, Philadelphia, among them. Leading the digital marketing group at global business solutions provider TransPerfect has widened that circle considerably, to Miami, San Francisco, Los Angeles, Toronto, Seattle, Denver, even Park City, Utah in this humble hemisphere; and London, Barcelona, Amsterdam, Beijing, Hong Kong, Singapore and Seoul, to name a few on the other side of the world. Though I’m blessed with the ability to travel for work, traveling for work means I’m not often gifted with free time enough to make the most of those destinations. Or at least wander off-map from the meticulously planned work day. Nobody throws an event — client or internal — like TransPerfect, but our itinerary is typically packed from breakfast through sessions, through sessions at lunch, through afternoon sessions, through networking sessions before dinner, through dinner and the (drinking) sessions after. So I was happy to plan for a delay in my return trip from our recent sales conference in Nashville. Two of my brothers, Dan and Sam, make their homes in the Music City and its suburbs. And following a gloriously productive three days with colleagues, I was truly able to unplug and savor idle time, starting Saturday morning, post-conference, with a good workout, and proceeding to quality hours with Sam in Germantown, immediately north of the city. 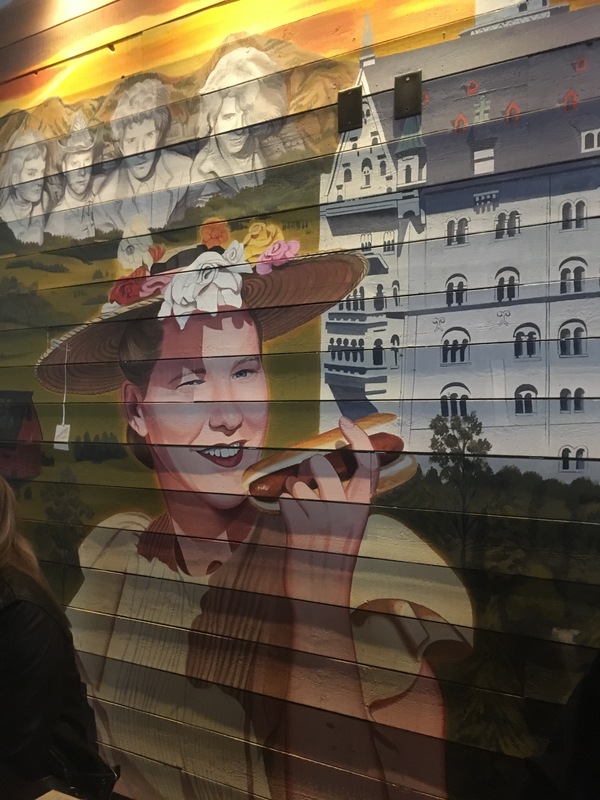 Von Elrod’s wouldn’t be a proper German beer hall, now, would it, without a proper lady enjoying a frankfurter. Sam’s twice lived in Nashville around stints back home in Ohio, in Columbus. But his current neighborhood feels more like home than Music Row. Paying heed to our German heritage, Sam has joined the local history clan, and as we tooled around the streets in his new ride he pointed out the old Victorians built by the immigrants of the mid-1800s while also schooling me on the plans for this trendy part of town — where the new dog park would go, the soccer stadium within walking distance of his livingroom, the warehouses being converted into condos, the brew pubs popping up like hops plants. After days of torrential rains, Saturday morning was cloudy but still, the world washed clean. And after a stop to show off his condo and meet his dog, Rhett, we headed to Von Elrod’s beer hall for a proper Saturday brunch. Just escaping from the subzero chill and drifting snow of South Dakota gave the long tables on the patio outside, with Tennessee basketball on the flatscreens overhead, a lazy Saturday appeal. But we were soon called inside to commence noshing. Getting into the spirit, I ordered a hefe-weisen, hearkening back to my Pittsburgh college days, and an absolutely delish barbecued pork sandwich and Sweet Potato JoJo’s. Killing time till brother Dan and his fam arrived, we headed to another fine specimen of Nashville microbrewery, Bearded Iris. The rain was back, tuning up to a sprinkle, so it was good to duck inside and sip a relaxing pint or two in the shabby, comfy furniture, hanging with the Saturday crowd. We spent a few hours hanging at Sam’s place with my nephews, watching them play with Rhett, waiting for Sam’s girl, Courtney, to get off work. We decided to wait it out with more food, heading down to The Goat, Sam’s complex’s trademark bar. If it seems like an afternoon lazy with alcohol and grub, well, some of the finest family times are built on that foundation. And as mentioned, it was great to just not be in much of a hurry to do anything after a packed week. Darkness fell and the rain ripped through in earnest once again, and Dan piloted my cookies down to the suburb of Franklin, where I spent the rest of the night watching the nephews rip into a bag full of Disney Infinity characters first lent to my sons and then returned to the source. I slept with the upstairs window cracked open to the mild Tennessee night, and that was bliss in itself. Sunday was set to be a fine finale to a week in Nashville. The curtain rose on a blue-sky, sunny, clear as a southern Bell day, with the trees, of all amazing things, budding. I took that cue and strapped on my running shoes and headed out for a four-mile circuit of Dan’s neighborhood. With time to kill before a late afternoon flight, the three brothers Foutz hit downtown Franklin. Burgers and bourbon seemed a good way to exit northwest, so we planted ourselves on three barstools side by side at O Be Joyful. About that time, my American Airlines app starting broadcasting distressful signals, indications of delays through Chicago (again), and mind-numbing forecasts of home treks deferred till Wednesday. I put in a call to American and we opted for a venue change and more beers. Next stop was McCreary’s Pub, a favorite haunt of my parents’ when they called Nashville home for a time, and with the customer service at American Airlines promising an extended stay in the Music City, I’ll admit that our talk shifted to making a more permanent residence there, with its spring in February, and fine barbecue and beer joints. But the outlook cleared a bit, later that afternoon, and a return to winter and normal 8-to-5 workdays beckoned. Still, I was glad to spend a couple days checked out of the schedule, sipping life like a tall Franziskaner hefe-weisen, enjoying idle time with family I get to see all too rarely. The kind of meanderings this man honestly savors.